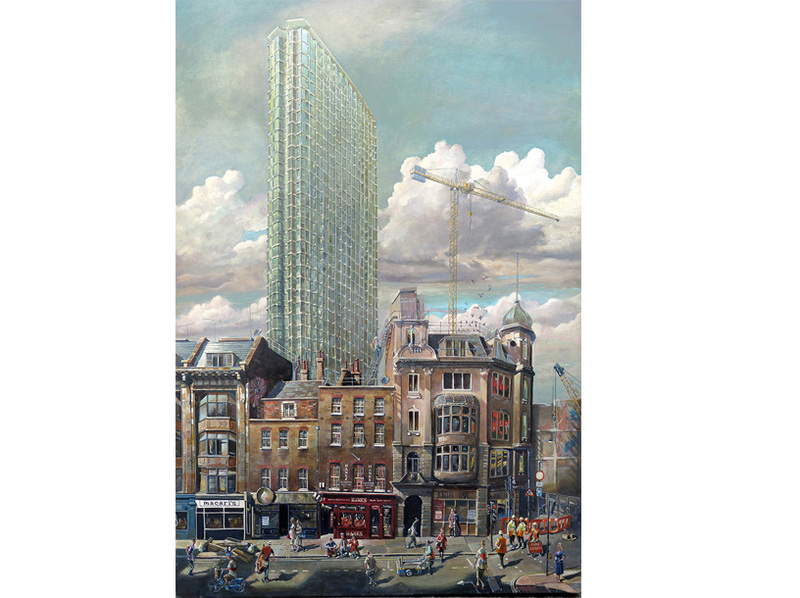 I was pleased to have my painting ‘Denmark Street (Tin pan Alley) chosen for entry to The Lynn Painter-Stainers Prize 2019. This annual exhibition is held at the Mall Galleries, The Mall, London SW1. Approximately 100 paintings were selected for exhibition. I was most pleased to be selected as the chance of being chosen is less that 5%. Although I didn’t win a prize I has fortunate enough to have the added bonus of featuring on the exhibition poster. 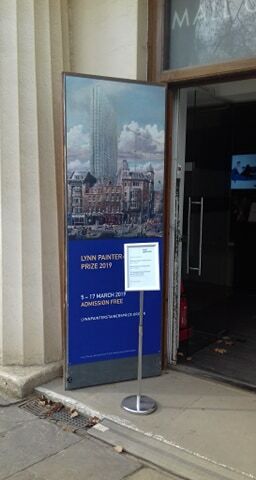 The Lynn Painter-Stainers Prize was created in 2005 by the Worshipful Company of Painter-Stainers and the Lynn Foundation to encourage the very best creative representational painting and promote the skill of draftsmanship. With prize money of £35,000 the Prize is one of the most prestigious awards to artists in the UK.